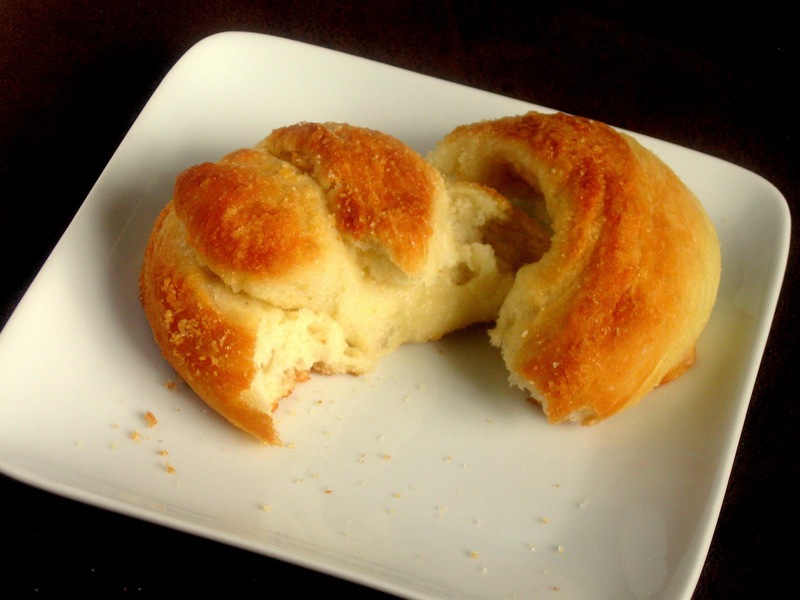 I love bread so much that this blog probably should have been about bread instead of desserts. Lucky for me I can still write about bread on here and share it with all of you! None of you seem to mind, after all :). I used to bake bread each week out of necessity because of my sons soy intolerance and the price on bread without soy products. He can have soy now and so I've become lazy in my bread baking. I really should make it more often. If nothing else I will be making these more often because they are done within an hour! I sort of forgot to sprinkle the parmesan cheese on these and they were still so delicious I'm posting them and telling you that you may want to try them with the parm. Maybe sprinkle half of them with the garlic and parm and half with just the garlic, if that's how you like it. That's what I would have done if I would have remembered. Even if you have the fear of the yeast this is a great starter recipe that is quick, easy, and doesn't even require a mixer. So go they them out and come back to let me know what you think. Happy Baking! 1. Mix together yeast and water, let sit for several minutes. If it doesn’t foam then it is old yeast and your dough probably will not rise. 2. Add in the flour, sugar, and salt. Mix until well blended. Cover and let rise 20 minutes. 3. Preheat oven to 400F. On a lightly floured surface, divide dough into 8 portions. Roll each portion out into a log 6-8” long. Form each log into a knot. 4. 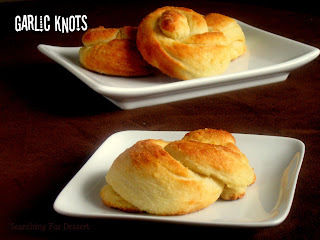 Melt butter and dip each knot into the butter then place on a sheet pan. 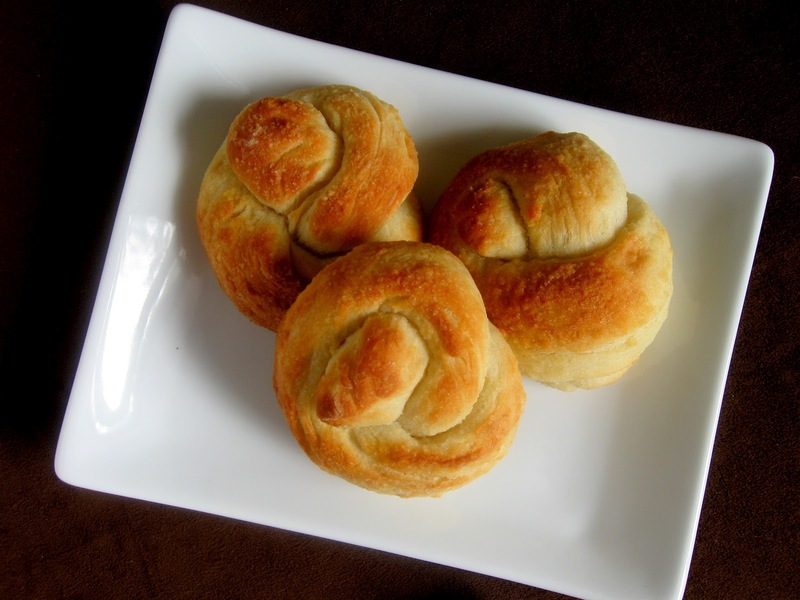 Mix together garlic salt and parmesan, then sprinkle over the knots. Sprinkle with parsley, if desired. 5. Bake for 12-14 minutes or until golden brown, serve warm.